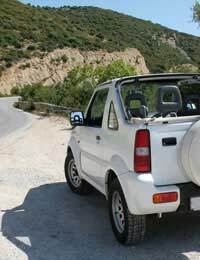 Having a car abroad can seem like a gapper's dream: suddenly you can go where you want, when you want and stay there for as long as you want. But buying a car for the course of a trip is rarely an option for a gap year traveller, so renting a car abroad becomes the likely solution. There is much to think about when renting a car abroad, however, so don't expect to zip around in a brand new sports car without a second thought. Before you plan your detailed itinerary, check in with a number of car rental agencies to see if you are able to rent a car in the first place. Some agencies operate a strict age policy in which those under the age 25 are not able to rent cars at all. Other agencies may operate a limited age policy, such as with those between the ages of 18 and 25 only able to rent some makes and models, and still others may not operate any age policy at all. Instead of age policies you might also discover that an agency operates policies pertaining to how long the driver has been licensed. Depending on where you travel, a car rental agency may ask to see not just your driver's licence but an International Driving Permit (IDP) as well. This Permit basically just translates your own driver's licence information into multiple languages. Only drivers aged 18 and over can be issued an International Driving Permit, and IDPs are issued by The Automobile Association (www.theaa.com). An IDP is only valid in conjunction with a state licence, however, so be ready to present both. It may be that there are only certain types of cars available to rent from any particular agency, but in case you have several options make sure that you are clear about your own preferences ahead of time. Manual versus automatic transmissions, petrol versus diesel and car versus van are just some of the decisions you may be faced with when renting a car. Also be aware of the driving terrain in the country you will be visiting. For example, will you be driving on the left or the right side of the road? Will you be driving over paved roads or unpaved roads? Will you be sticking to main roads or going off road? Think about the size car you will need as well. Are you particularly tall? Will you be carrying a lot of luggage with you? Once you have a general idea of where you will be taking a rental car and what you will need to do with it you will likely begin to form a more detailed picture of the type of vehicle you would prefer to rent. If you know that you will be renting a car abroad, book ahead to avoid disappointment. If possible book before you ever leave home. Be sure to check around regarding prices and additional fees, and don't be shy about enquiring into hidden fees, gas prices, insurance premiums, if you might net a discount for renting for a certain amount of time and anything else you can think of regarding the overall rental package. Also ask if you will be the only driver allowed to drive the car, and the exact time by which you will need to return the car to the rental agency. Driving a rental car is a big responsibility, so make sure that you feel comfortable with all of the rules before you ever slide into the driver's seat.